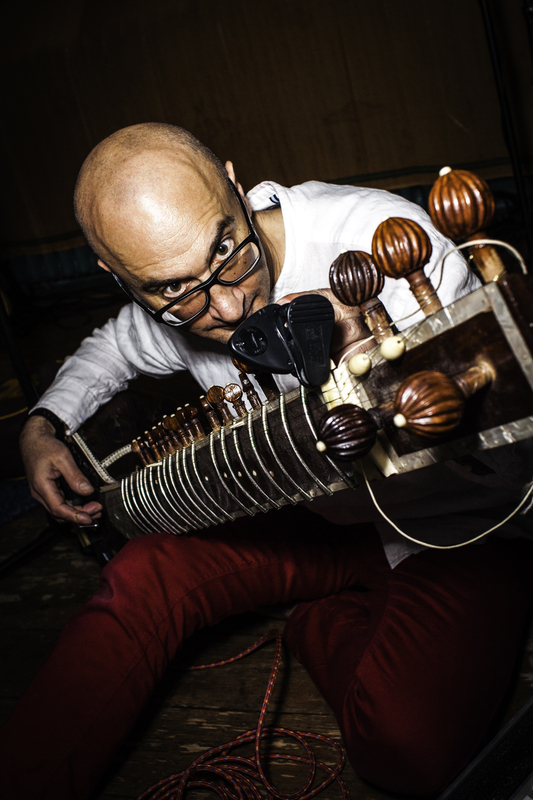 Martin Soloman, the star on the sitar. 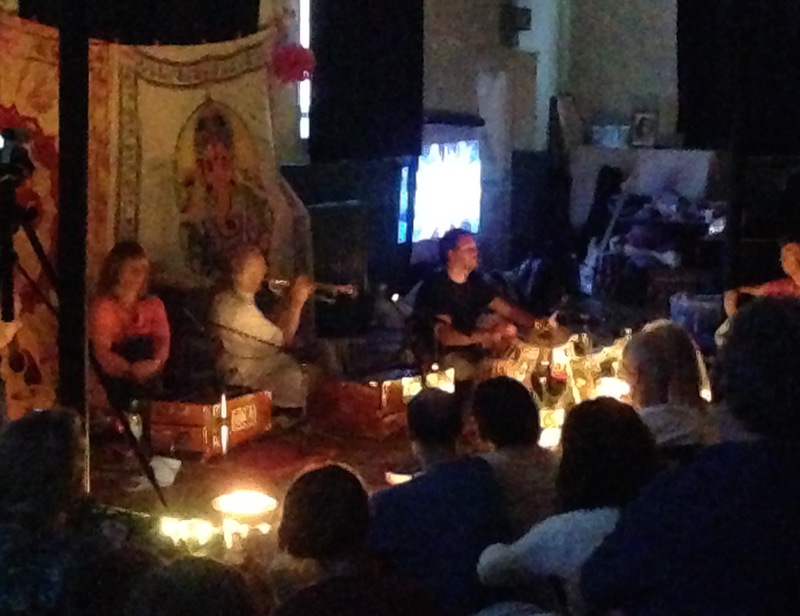 End of year bhakti bazaar! 06 Dec 2015 Comments Off on End of year bhakti bazaar! 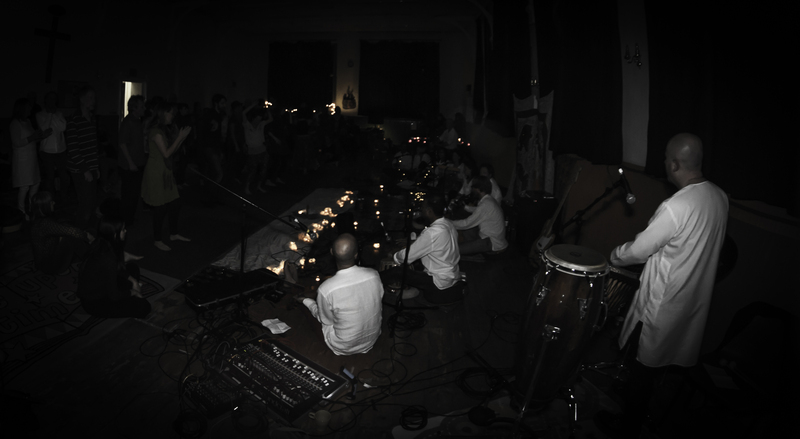 Thanks everybody who has come along to sing and dance with us this year, it’s certainly been an uplifting whirlwind from playing in St Laurence church and the Stroud Fringe festival to recording our first album at Ragged Moon studios! We hope you’ve enjoyed every minute of us as we have appreciated your participation. The recent event at the Trinity Rooms, Stroud was ecstatic as ever and a big thank you goes to Rachana & Wayne as ever for bringing along Juiciful and serving up dhal and rice all evening! We’ll be back again next year with several events, some of which can seen on the Events page, until then have a Merry Christmas and a Happy New Year! 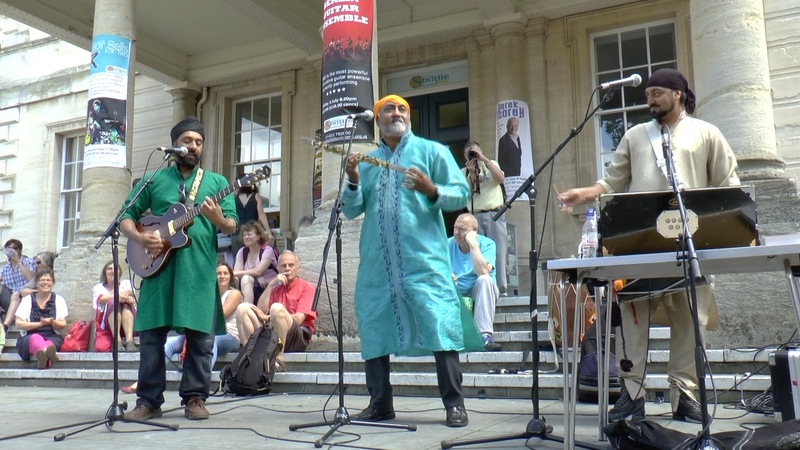 The Raga Babas will be playing on the Bank Garden stage at Stroud Fringe Festival from 4:00-5:00pm on Saturday 29th August. Be sure to have your dancing shows on, or if the weather is nice, bare feet will be fine! 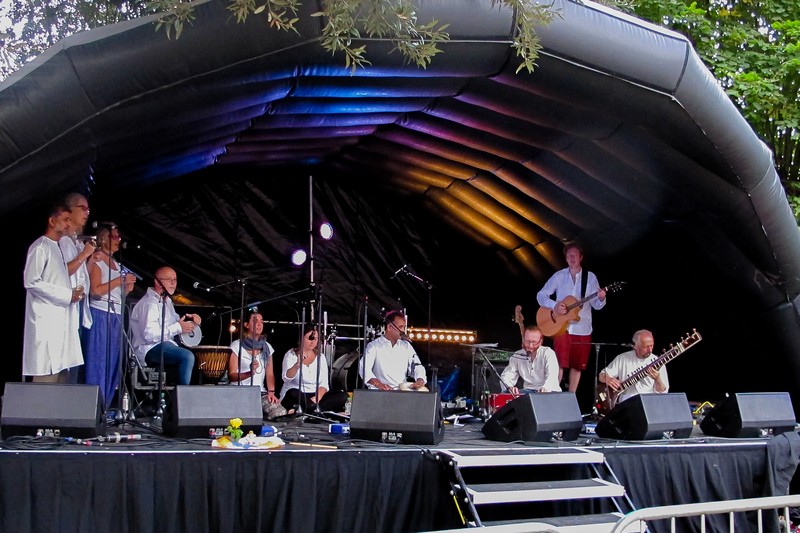 Come listen, sing and dance in the open air and hopefully under blue skies. We’re planning some musical treats. 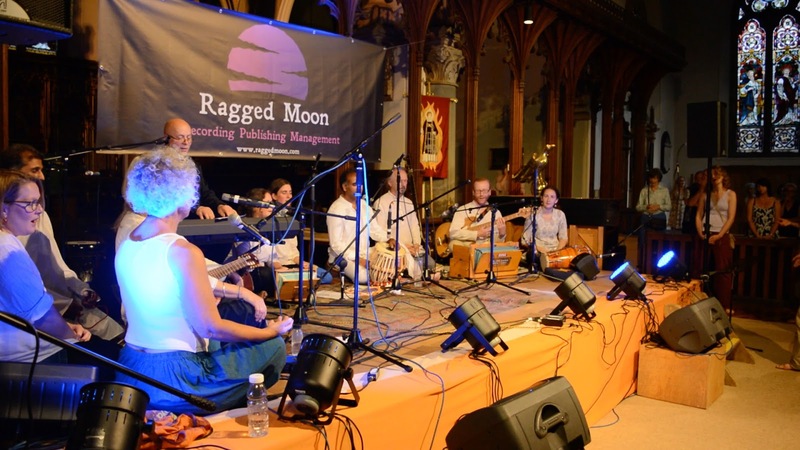 Raga Babas plus friends to play in the Trinity Rooms Stroud, September 27th. 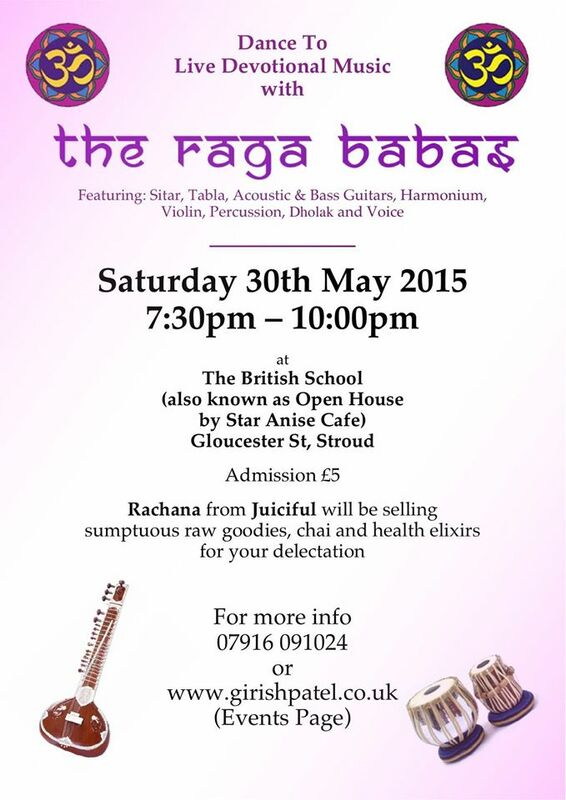 23 Jun 2015 Comments Off on Raga Babas plus friends to play in the Trinity Rooms Stroud, September 27th. 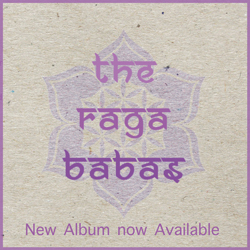 Thanks to the wonderful Ragged Moon recording studios in Stroud, the Raga Babas are now part way to releasing a new album. 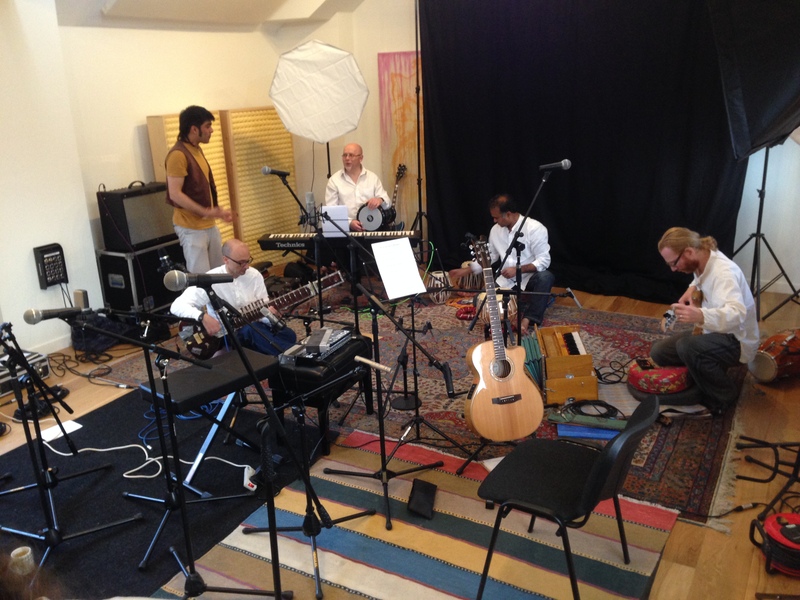 We all had a fantastic time getting mic’d up and laying down some groovy tracks with the help of Niks our sound engineer (and Girish’s son) Copies the new C.D will be available to purchase at the Sacred Music Festival on the 4th July. Healthy food and snacks by Juiciful.